Well I am back at work after not being able to get to my workshop, the snow is very pretty but a little inconvenient considering I live 25 miles away! 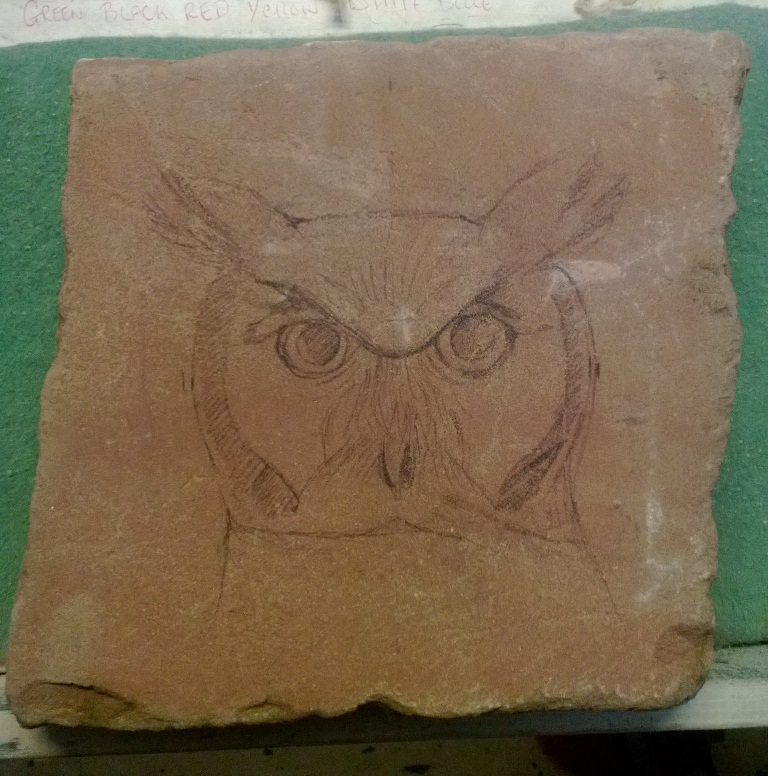 I have just started a new commission, it is a carving in relief of a beautiful white faced owl. 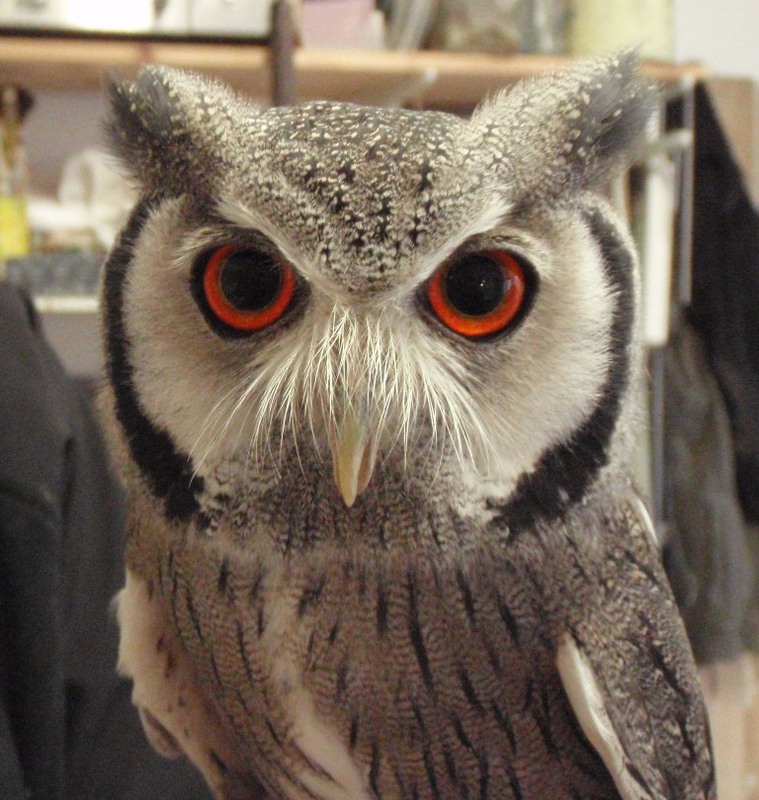 The owners show birds of prey and look after these beautiful wild creatures. They have chosen red Forest of Dean Sandstone which although is very hard to carve offers a unique colour and due to it’s close grain I will be able to get some good detail. This is a photo of ‘Flute’ and my drawing on the stone before I made a start. 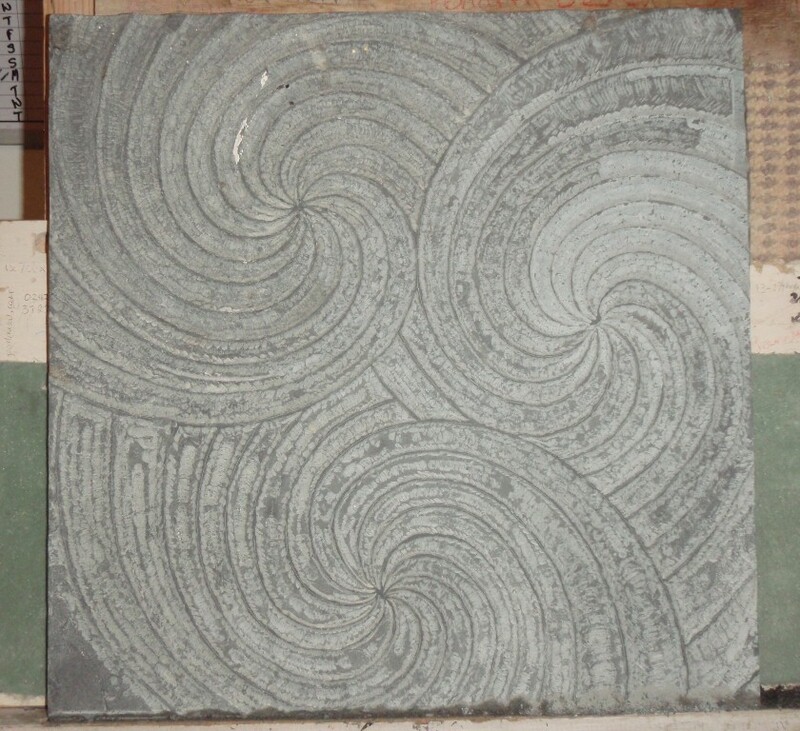 I have also made some progress on my latest slate carving of the spirals, I have managed to cut the whole design out and now I can concentrate on getting the depth needed to bring out the layered patterns. 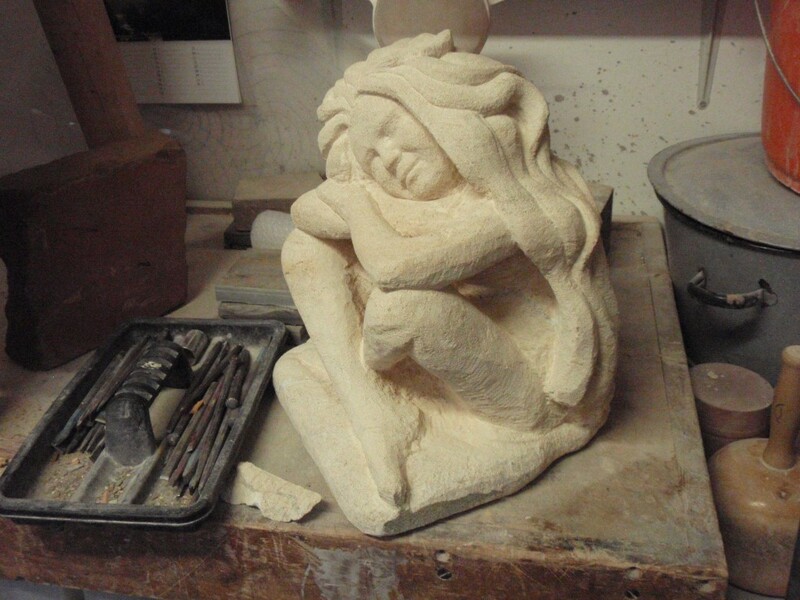 You may have been following the posts before Christmas detailing the carving of the seated girl in Syreford limestone, I have been working hard on getting her finished here is a photo of her from last week there will be more photos coming I think I’ll make you wait until she is finished! I have named her Rachel. Please feel free to post comments and ask questions!